Massive Sales Event This Weekend! Over this long weekend, starting July 1 and continuing through the 4th, the wonderful folks at Support Indie Authors are holding a special Sales Event! Fifty authors (including us) will be offering their ebooks for free or at a steep discount! There are almost 100 titles in all genres, so you will find something to suit every taste. We have the boxed set of the first three books of our series available for only $2.99! Check out the offerings here: http://events.supportindieauthors.com. Pick up some new reading for yourself and to share with family and friends! Wishing everyone the best for 4th! The Loralynn Kennakris Series Boxed Set On Sale: $2.99! Starting Monday, May 2, the Loralynn Kennakris Series boxed set is on sale for only $2.99! But act fast! The price goes up on Tuesday, although it’s still a great deal at half-off. Don’t miss this chance to get all three books in one volume for small fraction the price of buying each book individually! Over 1100 pages of sci-fi adventure awaits you! The Loralynn Kennakris Series Boxed Set Available! We just published the first three books of our Loralynn Kennakris Series as a boxed set for Kindle. It is available here: www.amazon.com/gp/product/B01CPLN5MG. Now you can get these three books in one volume for only $7.99! That’s over 25% off the price of buying each book individually. Over 1100 pages of sci-fi adventure awaits you! As always, your support for our work means the world to us! This week, we are offering all three of our books for half off or better! The Alecto Initiative (Loralynn Kennakris Book 1) — $0.99! 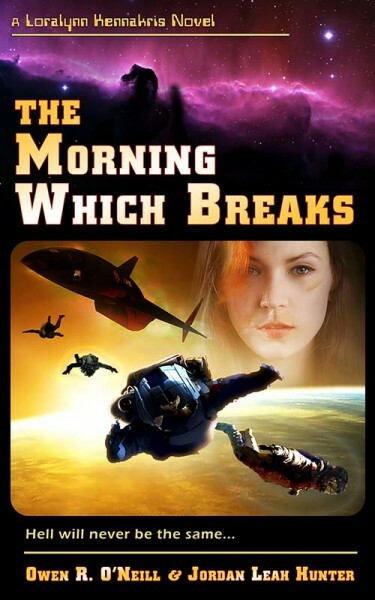 The Morning Which Breaks (Loralynn Kennakris Book 2) — $1.99! 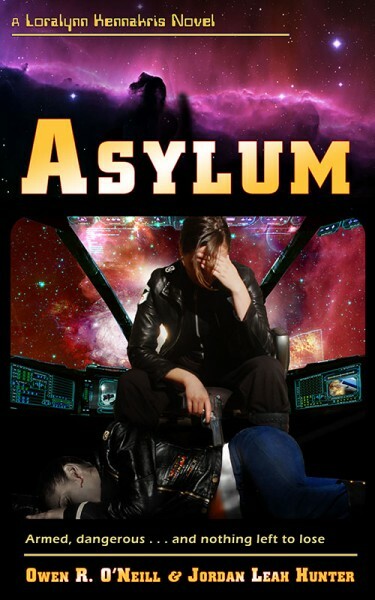 Asylum (Loralynn Kennakris Book 3) — $1.99! There’s no better time to pick up the entire set, if you haven’t already done so. If you have, buy them for someone special on your holiday gift list! This sale runs through Sunday, Dec 6th. If you have previously reviewed one or more of our books and would like to leave a review for the whole series, that would earn our undying appreciation! In other news: Our first two attempts to set up a mailing list crashed and burned. You wouldn’t think a simple mailing should be that complicated. However, I think we finally have the solution and we intended to have that set up this week. Watch this space for an update.